Image: Getty Images. Design: Kenzie Mastroe/SheKnows. 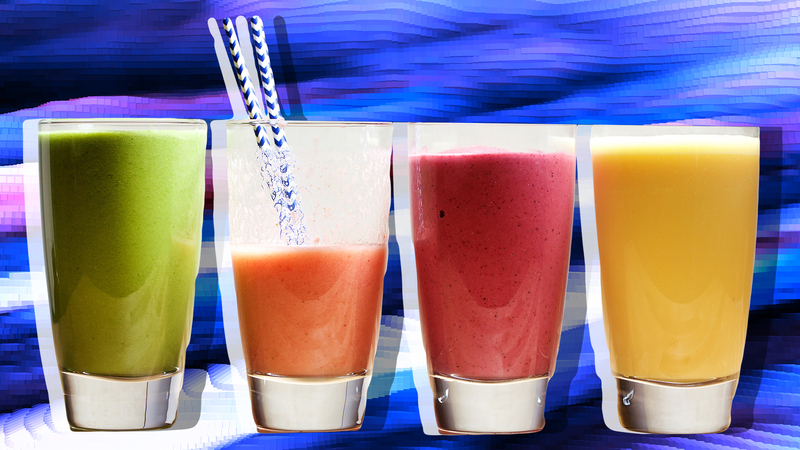 While fruit is a solid addition to any balanced diet, fruit juice isn’t the healthiest option. Most varieties are loaded with sugar, calories and carbs. But parents know this. We give our kiddos juice not as a nutritional supplement but as a sweet, delicious treat. But you may want to think twice before handing your little a juice box. According to a new report, arsenic has been found in dozens of fruit juices. The report, published by Consumer Reports, tested 45 packaged fruit juices for heavy metals, like lead, arsenic, mercury and cadmium. And while improvements have been made since the juices were last tested eight years ago, the results were still shocking: Consumer Reports found measurable levels of at least one heavy metal in each and every product. CBS News’ Anna Werner explained that the metals can enter the products in a variety of ways. They can make their way into food and/or beverages naturally (through the air, water and soil) or they can be added during the manufacturing and packaging process. That said, it doesn’t matter how the metals enter your food, what matters is how it affects your body: long-term exposure to lead, arsenic, mercury and cadmium can cause serious health issues, like kidney disease and certain types of cancer, and children are particularly vulnerable. As such, Consumer Reports and the American Academy of Pediatrics recommend parents limit the amount of juice they give their children. The AAP says parents should avoid giving children 12 months and younger any fruit juice. After that, the daily maximum amounts are 4 ounces for 1- to 3-year-olds, 6 ounces for 4- to 6-year-olds and 8 ounces for children 7 and older. And Consumer Reports’ chief scientific officer James Dickerson agrees. So be thoughtful. Be mindful. And limit your kiddos daily juice intake. It may result in a tantrum (or two) but is totally worth it in the end.